Bournemouth manager Eddie Howe reportedly wants to sign either Nick Pope or Jack Butland as a replacement for Asmir Begovic. Sports Mole provides the team news, predicted lineups and a full preview of Chelsea's Premier League clash with Bournemouth. Artur Boruc was selected ahead of Begovic. Manchester United make it three wins from their three matches under the leadership of Ole Gunnar Solskjaer with a 4-1 victory over Bournemouth. Sports Mole selects its Premier League team of the week for gameweek 18, including the likes of Mohamed Salah, Harry Kane and Jesse Lingard. Mohamed Salah scores a hat-trick as Liverpool beat Bournemouth 4-0 at the Vitality Stadium to move top of the Premier League table. Hammill was on target with a spectacular 50-yard effort for St Mirren on Wednesday. Manchester City move five points clear at the top of the Premier League table courtesy of a 3-1 win over Bournemouth at the Etihad Stadium. Sports Mole provides team news, predicted lineups and a full preview of Saturday's Premier League clash between Manchester City and Bournemouth. Arsenal move to within a point of a place in the top four of the Premier League table with a 2-1 victory over Bournemouth at the Vitality Stadium. Marcus Rashford scores a 92nd-minute winner to earn Manchester United a come-from-behind 2-1 victory over Bournemouth at the Vitality Stadium. Sports Mole selects its team of the week ahead of the second international break of the season, including the likes of Eden Hazard, Alexandre Lacazette and Ross Barkley. Junior Stanislas scores an 87th-minute penalty to earn Bournemouth a 2-1 victory over Crystal Palace which lifts them up to seventh in the Premier League table. Ashley Barnes nets twice as Burnley beat Bournemouth 4-0 at Turf Moor for their first three-point haul of the Premier League season. Sports Mole selects its Premier League team of the week for matchday five, including hat-trick hero Eden Hazard, David de Gea and Marko Arnautovic. Goalkeeper Asmir Begovic claims that Bournemouth's front three of Ryan Fraser, Joshua King and Callum Wilson deserve as much praise as Liverpool's attacking trio. Bournemouth maintain their impressive Premier League record against Leicester City despite a late scare by running out 4-2 winners over the Foxes at the Vitality Stadium. Chelsea register their fourth successive win of the new Premier League campaign with a 2-0 victory over Bournemouth in Saturday's clash at Stamford Bridge. Bournemouth and Everton both have a player sent off in their pulsating 2-2 draw at the Vitality Stadium in the Premier League on Saturday afternoon. Bournemouth come from behind to secure a 2-1 win against West Ham United in Saturday's Premier League encounter at the London Stadium. Bournemouth midfielder David Brooks will make his Premier League debut against Cardiff City this afternoon. Bournemouth goalkeeper Asmir Begovic brands Liverpool's new number one stopper Alisson Becker 'world class'. Stoke City in talks with Bournemouth goalkeeper Adam Federici? Stoke City are reportedly in talks with Bournemouth goalkeeper Adam Federici as a replacement for Lee Grant, who has been linked with a move to Manchester United. Napoli reportedly ready a summer bid for Bournemouth goalkeeper Asmir Begovic. Bournemouth are reportedly interested in signing goalkeeper Rody de Boer from Dutch side Telstar during the summer transfer window. Eddie Howe: Artur Boruc contract extension "fully deserved"
Eddie Howe is delighted that back-up goalkeeper Artur Boruc has put pen to paper on a one-year extension to his Bournemouth contract. Ryan Fraser scores the only goal of the match as Bournemouth record a 1-0 win over Swansea City in Saturday's Premier League clash at the Vitality Stadium. Dusan Tadic scores twice to earn Southampton a 2-1 win over Bournemouth, moving the Saints to within one point of Premier League safety. Chris Smalling and Romelu Lukaku net as Manchester United beat Bournemouth 2-0 at the Vitality Stadium to return to winning ways in the Premier League. Mohamed Salah reaches the 30-goal landmark for the Premier League season as Liverpool's front three all score in a comfortable win over Bournemouth at Anfield. Relive Liverpool's 3-0 win over Bournemouth as Mohamed Salah reached 30 league goals for the season, courtesy of Sports Mole's minute-by-minute updates from Anfield. Bournemouth boss Eddie Howe hails goalkeeper Asmir Begovic's performance in the 2-2 draw against Crystal Palace. 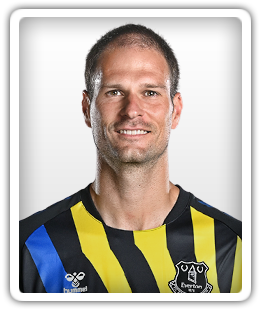 Eddie Howe hopes to see Asmir Begovic return to full fitness, as the goalkeeper has withdrawn from Bosnia-Herzegovina's squad with a long-standing knee injury. An 89th-minute free kick from Junior Stanislas condemns West Bromwich Albion to a seventh straight league defeat as Bournemouth come from behind to win 2-1. Tottenham Hotspur striker Harry Kane tweets that he will do "everything" that he can to return to action as soon as possible after suffering ankle ligament damage. Alan Shearer says that England could benefit from Harry Kane's injury blow, but it is bad news for Tottenham Hotspur. Tottenham Hotspur expect Harry Kane to return to training next month after suffering ligament damage in his ankle. Harry Kane out injured until May? Tottenham Hotspur striker Harry Kane could reportedly be on the sidelines until May with his latest ankle injury. Harry Kane will reportedly learn the extent of the damage sustained to his right ankle at some point on Tuesday, with Tottenham and England sweating over his fitness. Tottenham Hotspur climb up to third in the Premier League table courtesy of a come-from-behind 4-1 victory over Bournemouth at the Vitality Stadium.